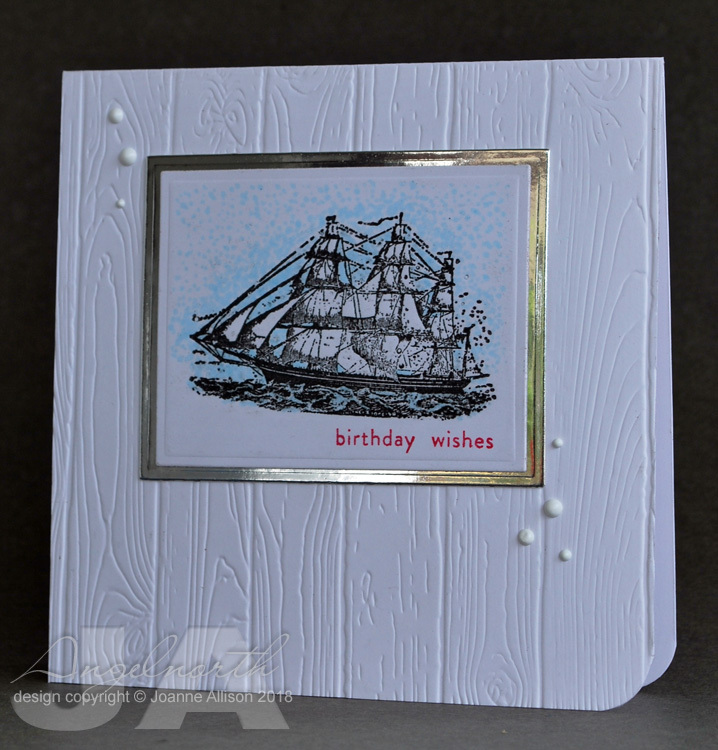 Shabneez is setting the challenge over at Daring Cardmakers today and she'd like us to go nautical. A few years back my hubby spotted some interesting printing blocks on a stall in Covent Garden and bought a couple for me including this ship. I'm not sure how they're intended to be used but I found that with a little bit of jiggery-pokery it's possible to run them through the Big Shot as a kind of letterpress. The printing lines are etched into a metal plate so you can't just use it like a rubber stamp, it needs some pressure. I've added just the slightest hint of colour around the ship using dots of Copic marker that get more widely space as they get further out. I thought the plank embossing could represent the ship's deck. 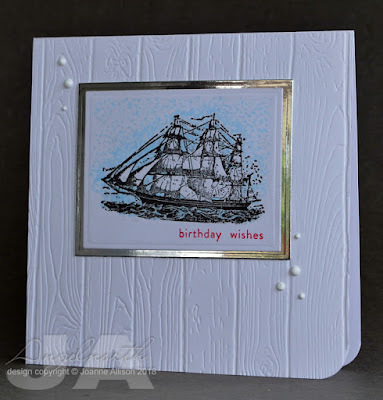 Great nautical card, Love the sailing ship and embossed background. What a great find the printing block was you must show us what the other one was.